I was spoilt this weekend. It was Mother’s Day stateside and it was a gorgeous weekend to spend with my family. I get to be bonus mum to two amazing kids and while they always do wonderful things for me on Mother’s Day I get to also celebrate the fact that I won the lottery when I met my husband and kids. They truly make all the ups and downs of the world worthwhile. I was treated to a four course meal cooked by them and the kids took turns being “waiter” with the towel over their arms. I enjoyed Bruschetta for the starter, a salad, chicken piccata, and finished with my daughter’s flourless chocolate cake with custard. Told you I was spoilt! A few months ago my husband ordered an onion soup inspired by Italy and I thought at some point I wanted to recreate it. It was a cool rainy day on Friday, perfect for a light soup. I don’t have any idea how they did their soup, I went with the impression I got from a spoonful I tried but I was pleased with the results. I would recommend making this either the morning of or the day before to allow the flavours to mature. Because I used half chicken stock and half water it needs the time to come together. It’s amazing how strong a flavour water can have in a dish. This simmered for over an hour and it just let go of the water flavour. 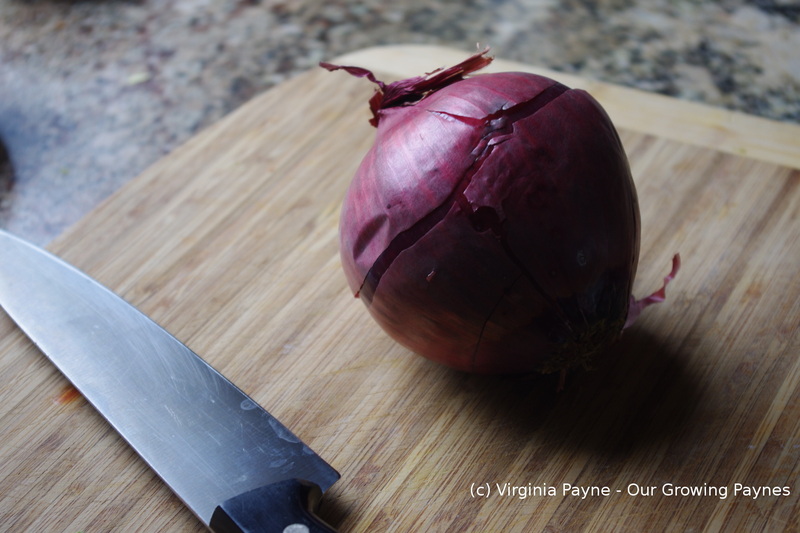 Thinly slice a large onion of your choice. Melt a couple of tablespoons of butter. Saute the onions on low to medium heat to caramelise. As they begin to soften add a tablespoon of sugar. The trick here is to be patient and not stir constantly. 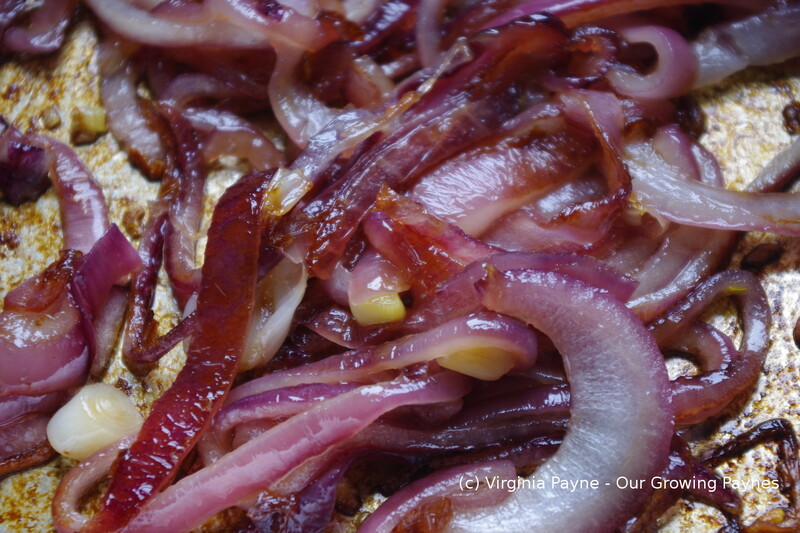 Let the onions sit between stirrings. Gradually they will start having that nice caramel colouring you need. 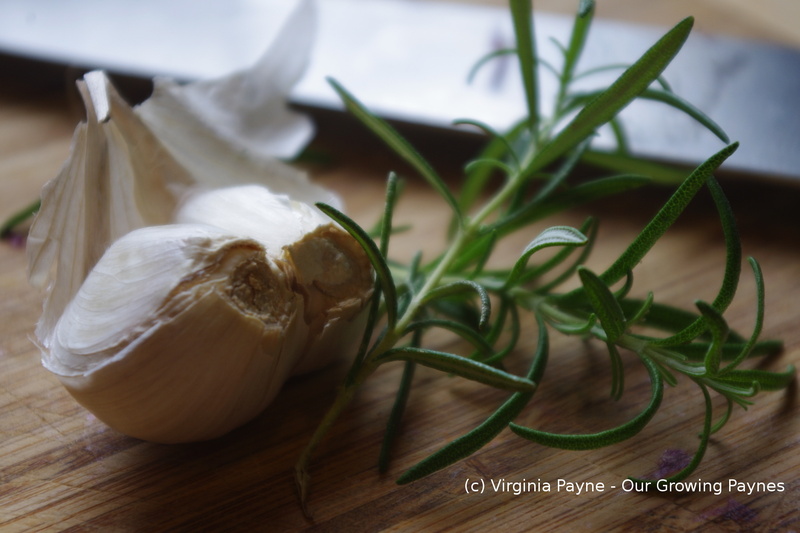 Chop up 2 garlic cloves and fresh rosemary. Saute in the onions for a couple of minutes then add about 2 cups chicken stock and 2 cups water. Bring to a simmer. Add lemon juice to taste as well as salt and pepper. Grate a cup of fresh parmesan cheese and add to the soup. Stir until blended. Serve with some cheesy toast. 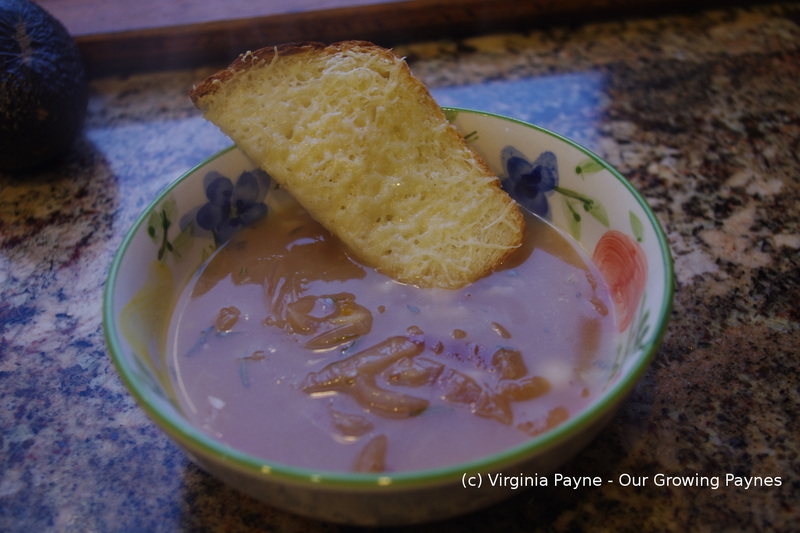 This is a lighter version of French Onion Soup and is great as we come out of the dregs of winter. This entry was posted in Italian Recipes and tagged cheese, cooking, dinner, food, garlic, onion soup, Onions, parmesan cheese, rosemary, salt and pepper. Bookmark the permalink. This is a great soup. My family likes it better than the French version. My recipe uses beef broth and a little red wine.Thank you for reminding me about this soup. I’ll have to try it as your version. I wanted to keep it light so I went with the chicken broth. And use what I had in my pantry. 🙂 Next time I might try a version with a bit of cream to mix it up as I think that is what was in the soup my husband had at the restaurant. But that could just be an Americanized version. Very nice Virginia. I like the light approach.